OTSE Action Fund is a 501(c)(4) social welfare organization whose work is focused on educating the general public, policymakers, lawmakers and interested parties about the need for reform to Ohio’s death penalty system. Senate Bill 67 (Tavares). The Racial Justice Act, introduced March 2015 and assigned to the Senate Criminal Justice Committee. The bill proposes to allow individuals sentenced to death to appeal the sentence if there is belief that race was a contributing factor to the sentence being sought or imposed at the trial level. The numbers speak for themselves. A perpetrator is geometrically more likely to end up on death row if the homicide victim is white rather than black. The implication of race in this gross disparity is not simply explained away and demands thorough examination, analysis and study until a satisfactory explanation emerges which eliminates race as the cause for these widely divergent numbers. Studies conducted by the Ohio Public Defender Commission, the Associated Press, the American Bar Association and the Ohio Supreme Court Death Penalty Task Force found the same racial bias still exists more than 20 years later. The most recent review by the Ohio Supreme Court Death Penalty Task Force included a recommendation for the creation of a Racial Justice Act, by a vote of 13-1, in April 2014. S.B. 67 would finally codify a mechanism for Ohio to address its long and well-documented race bias in death penalty cases. Legislation status: Sponsor hearing took place on April 15, 2015 before the Senate Criminal Justice Committee. Click here to read sponsor testimony and find out other information about the bill. Proponent and Opponent testimony hearings have not been scheduled. Senate Bill 139 (Seitz, Williams). Post-conviction Relief Proceedings, introduced April 2015 and referred to Senate Criminal Justice Committee. 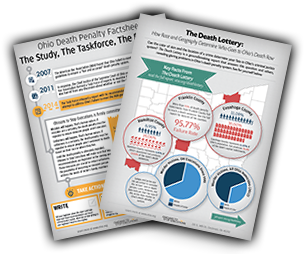 The proposal adopts and codifies four recommendations made by the Ohio Supreme Court Death Penalty Task Force. Recommendation 25: The Judge hearing the case must state specifically why each claim was either denied or granted in the findings of fact and conclusions of law. Recommendation 26: The common pleas clerk shall retain a copy of the original trial file in the common pleas clerk’s office even though it sends the originals to the Supreme Court of Ohio in connection with the direct appeal. Recommendation 27: There shall be no page limits in death penalty cases in either the petition filed with the common pleas court or on direct appeal from the denials of such petition. Recommendation 28: Amend R.C. 2953.21 to provide for depositions and subpoenas during discovery in post-conviction relief. Legislation status: S.B 139 has been referred to the House Judiciary Committee. No hearings have yet been scheduled. SB 139 was passed by the Senate on October 7, 2015 by a vote of 32-0. To read the bill and learn about other information, click here. Senate Bill 154 (Brown). Death penalty-abolish, introduced April 2015. The bill has been referred to the Senate Criminal Justice Committee but has not yet been scheduled for a hearing. The bill proposes to replace Ohio’s death penalty with life without parole. Wiley Bridgeman, Kwame Ajamu and Ricky Jackson were imprisoned and sentenced to death in 1975 and spent a combined total of 105 years in prison before being exonerated and released. They came to the Ohio Statehouse on April 14th along with three other Ohio death row exonerees to advocate for capital punishment reform. Legislation status: S.B. 154 has been referred to the Senate Criminal Justice Committee but has not yet been scheduled for a hearing. Click here to read the proposal and for other information on S.B. 154. House Bill 289 (Antonio, Antani). Death penalty-abolish, introduced July 2015. The bill has not yet been assigned to any House committee. The bill proposes to replace Ohio’s execution sentence with life without parole. Legislation status: H.B. 289 has not been assigned to committee. Click here to read the proposal and for other information on H.B. 289. Senate Bill 162 (Seitz, Williams). Introduced in May, 2015, this bill was assigned to the Senate Criminal Justice Committee. This bill would prevent execution of individuals who suffered from serious mental illness at the time of the crime. Legislation status: S.B. 162 has had six hearings now and awaits committee action when the legislature returns from its Spring recess. Click here to read the proposal and for other information on S.B. 162. Visit the Ohio Alliance for the Mental Illness Exemption to learn more and take action! 1. 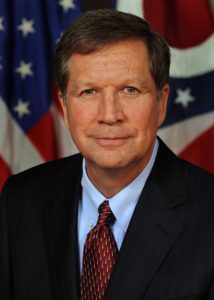 Email Governor Kasich and ask him to stay all pending executions until the recommendations of the Supreme Court Task Force have been considered and implemented by the legislature. I am firmly opposed to any attempt to change the execution process to the gas chamber. The gas chamber is offensive to the human experience and has no place in our great state. Fix the problems, don’t create new ones. Even though I believe in the death penalty in principle, Ohio must never, ever use the gas chamber to execute. Rather than focus on how we execute, I’d like to see our legislature make sure Ohio’s death penalty is fair and accurate. Fix the problems, don’t create new ones. Click here to show your support for the legislation above and make a financial contribution to OTSE Action Fund.